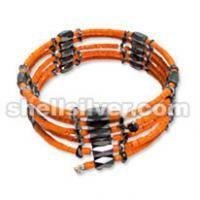 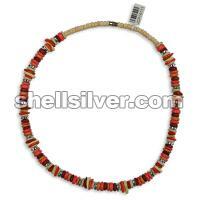 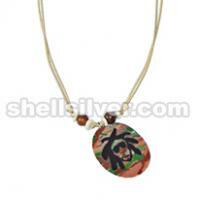 Necklace 18 inches in 8 mm coco pukalet super bleach, orange, brown and light orange, 8 mm silver coated flat pukalet and white shell square cut dark orange, light yellow and orange. 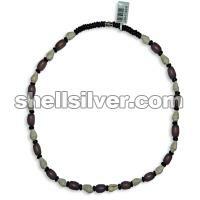 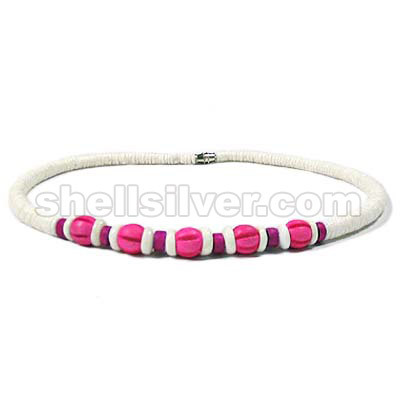 Necklace 18 inches in 4-5 mm coco pukalet black, nasa shell white and buri tube 7-8 x 12 mm dyed violet. 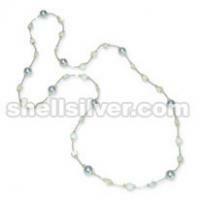 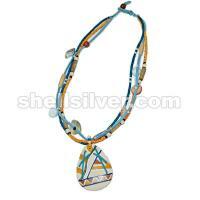 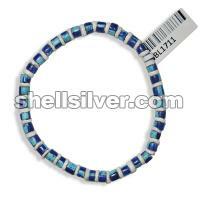 Bracelet 8 inches in 4-5 mm coco heishe blue with splashing light blue alternate with 4-5 mm white shell heishe.